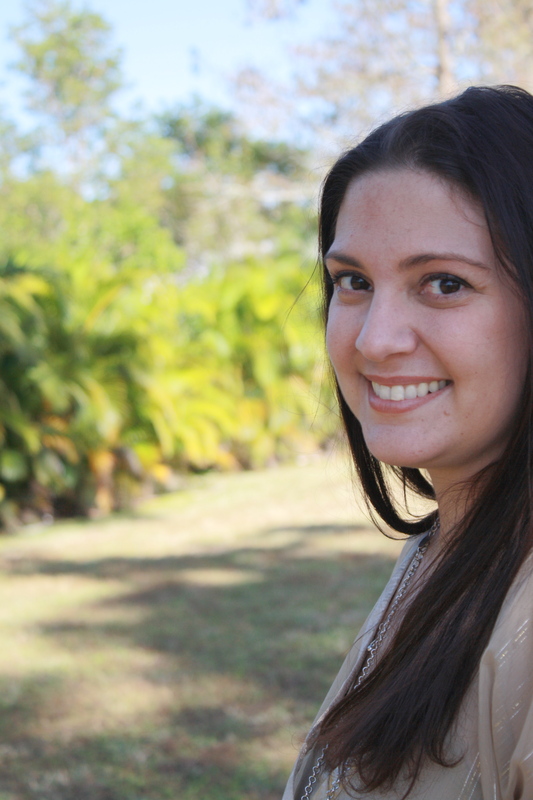 Alexandra Peñaloza Alessandri is a Colombian-American poet, children’s author, and professor at Broward College, where she teaches composition, creative writing, and literature. She received her BA and MA degrees in English Literature from FIU and a Certificate of Fiction from UCLA Extension. Her work has appeared recently in The Acentos Review, Rio Grande Review, YARN, and Atlanta Review. She lives in Florida with her husband and son, dreaming of Colombia. Alexandra is represented by Deborah Warren of East West Literary. Once upon a time, I was a child growing up in Florida with summer trips to Colombia. My parents fostered a love of books at a young age, and I was immersed in reading and making up stories. The library was my favorite place, apart from my backyard, which was the stage for my imagination. I graduated to storyteller, entertaining my younger cousins or anyone who would listen, with made-up tales of kingdoms in clouds. At some point, I began filling notebook after notebook with poems, stories, and snippets of my daily life. One of my first typed stories was a (horrid) ghost tale. I still have this story somewhere in the box of memories I keep. After high school, I attended Florida International University, where I earned my BA and MA degrees in English Literature. During those years, I took creative writing and literature courses, and though my heart was in the former, my practical thinking was in the latter. I kept writing as a hobby, focusing my professional energies on academia instead as I got married and, later, had my son. Then, in 2008, my father passed away. After his death, I began filling the ensuing void with memories. I wrote to make sense of my past, of my father, and of our (often troubled) relationship. And like memory begets memory, so does writing beget writing. Once I started, I couldn’t stop. I’d found my way back to writing. In 2011, I was diagnosed with an invisible illness–connective tissue disease with a side of fibromyalgia–and I often find myself trying to find a balance between what I want, what I need, and what my body tells me I can do. All these experiences have found their way into my writing. I write about grief and loss, as well as about my identity as a Colombian-American, submerged in the nostalgia of my parents’ country but grounded in my American reality. I write about children like my son, those who grow up steeped in multiple cultures. I also write about the magic that’s possible if only we look closely at our lives. Poetry is my first love. When I can’t think in logical sentences, when I can only feel, poems help me shape those feelings into ideas and thoughts. One of the things I love about poetry is the ability to make language dance. Language, when done well, is a fragrant bloom in the wind, swaying to the rhythm of nature. I’m obsessed with all things Harry Potter, urban murals, strong coffee, and with mapping out my ancestry. I’m a teen who never grew up, and a sucker for musicals–seriously, I wish life consisted of busting out in song and dance at random moments. I’m an only child raised with copious amounts of primas and primos (my mom’s the eldest of eleven and all my tios and tias have kids…) and deeply rooted in my Colombian heritage. To me, family and faith are everything. We have a Colombian-German-Chilean-American household that gets rowdy during the World Cup, and I wouldn’t have it any other way–hairless pup and all. My dad was a Catholic priest in Colombia, Chile, and here in the US before trading his sotana for a wife and daughter. My great-uncle, Bernardo Arias-Trujillo, was a Colombian novelist and poet. There’s a school in Risaralda, Colombia named after him. I’m ridiculously clumsy, made worse in recent years. When I was little, I used to sleep walk and sleep talk. As an adult, I’ve had sleep paralysis. Google it–it’s as freaky as it sounds. There are musicians in my family, classical and contemporary, and though I learned to play the piano, I never pursued it. My son has inherited this (he learned the guitar and is playing tenor sax in band). Part of my planning process for writing is creating playlists. They help me visualize and inhabit the world and characters. Favorite genres: fantasy and magical realism. My favorite all-time author is Isabel Allende. She is my literary hero and I’d love to meet her one day. I love the look and feel of your new blog, Alexandra. Best of luck with your writing! It’s so impressive you write across so many ages and genres. Thank you so much! I kind of want to do it all. Maybe it’s the libra indecisiveness in me? Haha! 🙂 I admire authors who span the ages and genres. And thanks for stopping by. I’m going to check out your blog, too. 🙂 Happy writing! I am so impressed about your writing,..